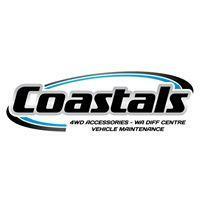 Coastals, is a 4x4 accessory store which incorporates WA Diff Centre, a perfect marriage for the 4x4 world. We are able to assist with the design, supply and fit out of your next 4x4 project with our full in house team of mechanics, auto electricians, fitters and upholsters. Whether you require a roof rack a towbar or a full dual battery system with back up solar and emergency starting features, we have the experience and expertise to guide you through your exacting requirements. Our clients include mining companies with fleet requirements through to someone requiring a bike rack for some weekend expeditions. Give us a call for some good old fashioned advice and service.